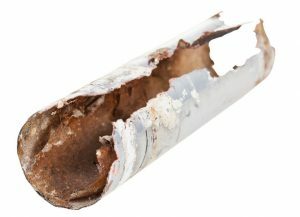 If The Inside Of Your Pipes Start To Look Like This, Give Us a Call. The idea of having your home repiped can be a little daunting. When you have All About Plumbing & Septic doing the work for you, you can feel good about everything that we are doing and that your home will be taken care of. As high-quality repipe specialists, we are here to make this process easier and answer any questions that you might have about it. Repiping your home is something that many people will never have to do. If you buy a new home, it is likely that repiping is something you won’t have to deal with. The problem starts to occur when your home older or there have been major plumbing issues that have caused a lot of damage. One of the best things that you can do for your home is to have a plumbing inspection done on it. This will be able to look and test if there are any problems that need to be taken care of to avoid a repiping or find out if you need your home repiped at all. When you are continuing to have piping problems, it will actually be less expensive in the long run to have a repipe done. Every time a plumber comes out, you end up getting charged to do a repair, but if the repair will only hold up for a whole and you will eventually need to repipe anyway, it may be the better option to just go ahead and do it now. We can go over pricing and any questions you may have, together so that you always feel in the loop and like you know what you are doing. You can trust our repipe specialists in Mills River, Hendersonville, and Asheville, NC to take care of you and get your home running the way it should be. Give us a call at 828-778-2425 and we can set up an appointment time that works best for you. Old Home – Typically, when your home is more than 50 years old, the piping system may start to develop problems. When you purchase an old home that was built over 50 years ago, you should make sure that a thorough inspection is done on it and that the plumbing has been looked at or replaced at some point or another. Steel piping used to be used in homes and over time, these tend to corrode and break away, causing them to need to be replaced. The pipes that are installed during modern days are not invincible either and will eventually need to be replaced as well. Weird Tasting Water – When your water starts to taste coppery or like it has a chemical taste or like metal, it may be because the inside of the pipes are getting old or are starting to be bad. This could also be a sign of mineral buildup. The best way to be able to tell if this is happening, is if the water that is coming out, has a red tint to it or your water pressure is a little lower. This is something that should be taken care of right away because it can actually be dangerous for your health to drink water at that quality. If you have started to taste water like this, you can also consider getting a water purification system installed on your home. Replacing old pipelines can prevent costly leaks in your home. Pipes Keep Leaking – Leaks happen all of the time, but when they start to happen over and over again, then there is a problem. 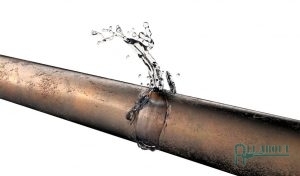 When a leak keeps coming back again and again, it will start to deteriorate the pipe. This likely means that the pipe has more damage than we think or that the pipe is just old and can’t hold up the way it used to. Constant repairs can be expensive, so it can be cheaper in the long run to go ahead and have your repipe done so that your system and wallet don’t have to keep dealing with issues. When you choose All About Plumbing & Septic, you will always get high-quality service and knowledgeable plumbers that are ready to take on any plumbing project you have. Because we have been doing this for so long, we are able to provide you with answers and show you exactly what we are talking about before we get it done. Repiping is something that will always need to be done by a professional so that it can last for as long as it is supposed to. Give us a call at 828-778-2425, and we can come out and do an inspection of your piping system to make sure that repiping is something that you should be doing. We will never try to sell you on something that doesn’t need to be done so when we tell you that you need repiping, you will know that there likely is no other option. When you need the best repipe specialists in Mills River, Hendersonville, and Asheville, NC, call us to schedule an appointment right away. Updated on January 22, 2019 at 2:02 pm by All About Plumbing.